Austin City Limits has announced thier newest class of ACL Hall of Fame inductees. 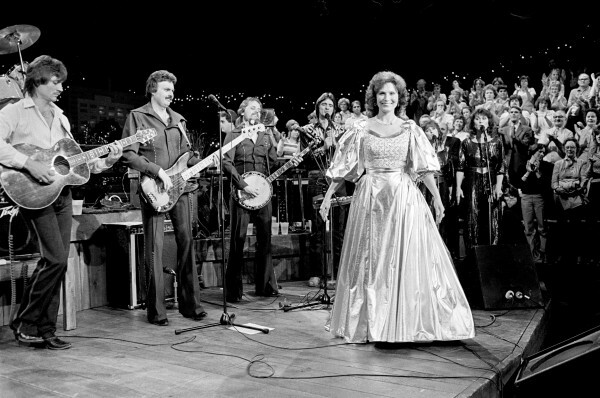 The five legendary artists being honored are Western swing institution Asleep at the Wheel, country trailblazer Loretta Lynn, songwriting legend Guy Clark, master accordionist Flaco Jiménez and the legendary Townes Van Zandt. The announcement was made yesterday evening by ACL Executive Producer Terry Lickona at Austin’s Rattle Inn. The 2015 ACL Hall of Fame inductees will be celebrated at a ceremony highlighted by all-star music performances to be held on June 15th at ACL’s studio home, Austin’s ACL Live at The Moody Theater. The event will be open to the public and ticket onsale information will be announced at a later date. ACL also announced the first round of new tapings for the series upcoming Season 41: breakout country rebel and Grammy-nominated Sturgill Simpson, acclaimed rock outfit The War on Drugs, and, in a special Bob Wills’ tribute, new Hall of Fame inductees Asleep at the Wheel, joined by guest stars including The Avett Brothers and Amos Lee. The Austin City Limits Hall of Fame was established in 2014 in conjunction with the iconic television series’ 40th Anniversary to celebrate the legacy of legendary artists and key individuals who have been instrumental in the landmark series remarkable 40 years as an American music institution. The invitation-only inaugural induction ceremony took place April 26, 2014 at ACL’s original Studio 6A. Hosted by Oscar-winning actor and Texas native Matthew McConaughey, the historic evening honored the first class of inductees, featuring American music icon Willie Nelson who starred on the original ACL pilot program, Austin blues rock giants Stevie Ray Vaughan & Double Trouble and legendary steel guitarist and Grammy Award-winning music producer Lloyd Maines, in addition to non-performers who played a key role in the evolution of the program: original show creator Bill Arhos and longtime ACL supporter, Texas Longhorns football head coach Darrell Royal. A star-studded line-up paid tribute with incredible music performances, including: Lyle Lovett, Emmylou Harris, Buddy Guy, Robert Randolph, Doyle Bramhall II and Kenny Wayne Shepherd.